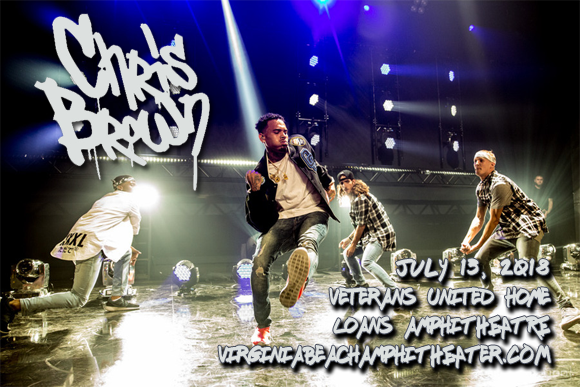 One of R&B's biggest artists, Chris Brown, comes to MidFlorida Credit Union Amphitheatre on Friday 6th July 2018 as part of his Heartbreak on a Full Moon Tour! The Grammy Award-winning superstar is hitting the road for an extensive North American stint promoting his double album of the same name, and for this show he'll be joined by rapper Rich the Kid! Chris Brown is an R&B singer and songwriter whose music career began in 2004, when he was signed to Jive Records. Brown released his self-titled debut album the following year, hitting number one on the Billboard Hot 100 chart with its lead single “Run It!”, making him the first male solo artist to do so in over a decade. Since then, Brown has become one of the world's best-selling music artists, having sold over 100 million albums worldwide. Brown's fourth studio album, F.A.M.E. (2011), became his first to top the Billboard 200 and earned him his first Grammy Award for Best R&B Album at the 54th Grammy Awards. A highly-awarded artist, Brown has won 14 BET Awards, 5 Billboard Music Awards, and 5 Soul Train Music Awards and many more throughout his career.